Dear Friends, if you are seeking to finish the race to the end of the game but you are blocked at Word Crossy Level 3901, you could consider that you are already a winner ! 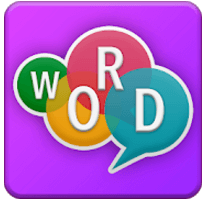 This game released by Word Find interested a lot of word games players because it is using a well stuffed english dictionary; thing which is rare in play store. – Connect letters to spell words; easy and fun to play! – More than 3400 levels and many more words to search for! – Levels built like crosswords to make things even more interesting! – Consistent progression to challenge players of any skill level! – No time limits, no pressure. – Useful tools are available to help you if you get stuck. – Beautiful visual design for a pleasant experience. The game is not over, still some forward levels to solve ! Solved also and available through this link : Word Crossy 3902 cheats .